One thing is certain; we all want to be loved. There are global industries worth millions, designed to help people find love. People invest heavily to discover the secret to love. Yet with so much information available, there are those who battle find or experience love, wondering what they’re doing wrong. Oh No! Not Valentine’s Day! As with most holidays or days of celebration Valentine’s Day has developed into a commercial blockbuster for numerous industries. It is all about showing your love for that someone special, but for those who are not in a relationship it can be a very trying time of the year. The commercial story line insists that if someone is showing you their love or infatuation then you are worthy. But what if you’re alone? Does this mean that you are unworthy? The secret to love is that it all starts within you. Often we look for love outside of ourselves and yet the greatest love story is the one we create within ourselves. This can be highly challenging especially when we feel alone or lonely and believe your validation comes from external sources. The fact is you can’t give something to another emotionally if you haven’t given it to yourself. It is the simple rule of flying, take care of yourself, and then assist others. Self-love is an ongoing topic for me; perhaps it is for you too. Each day I am committed to loving myself, more than the day before… but do you know where it starts for me? 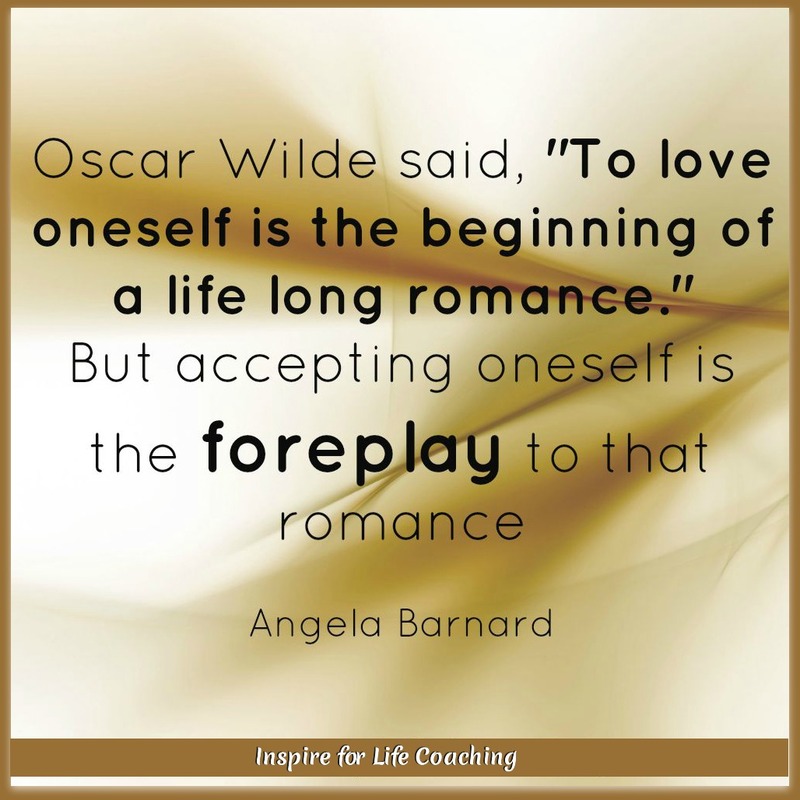 For me it all starts with self-acceptance and Oh My God! some days that can be really tough! What is it about us that we will easily accept the negativity and criticism of our inner critic or even those around us, but when it comes to accepting our own beauty and brilliance, we shy away from it? I know I have so much more to learn about and grow into self-acceptance, and more importantly to practice it each day. This past Valentine’s Day I decided that I would practice self-love with myself by telling my community the truth about me and OWNING IT! You see one area where I really struggle is to OWN my genius in my business. The fact is the work I do with my clients is life changing. No, I don’t go and change them in any way; that’s not my job! However, working with me, my clients experience a level of self-discovery, self-healing, and self-love that they never knew was possible. They step into themselves with such power and clarity, it’s literally life transforming. They discover the secret to love. They discover themselves. What is it that I do you may wonder? Well I show up with everything I have – all my life coaching, business and life skills, ready to serve. One of my greatest skills is my ability to listen and to hear. This is the feedback I hear constantly from my clients – you heard what I was saying, even when I never said it. This is a gift, I know. I often overlook it, I often doubt it, I often think I’m not using it, and yet it’s an integral part of all I do and all I am. You may have heard me speaking about my superpower before. We all have unique gifts, powers, abilities that make us our gorgeous selves. My super power is in my name – I am an Angelic Messenger. Some people may call me psychic, or prophetic, or wise beyond understanding. What does it mean to have an Angelic Messenger superpower? When I’m working with my clients, I see, hear, and feel a message that is very specific to them in their situation. It may be a depiction of what they’re going through, or a solution to an issue but it is expressed in such a way that it’s tailored to who they are. In fact, sometimes, I wonder to myself where the hell did that just come from and yet my clients know exactly what it means for them. So how is my telling you about my own genius an act of self-love? There are only two emotions: love and fear. All positive emotions come from love, all negative emotions from fear. From love flows happiness, contentment, peace, and joy. From fear comes anger, hate, anxiety, and guilt. It’s true that there are only two primary emotions, love, and fear. But it’s more accurate to say that there is only love or fear, for we cannot feel these two emotions together, at exactly the same time. They’re opposites. If we’re in fear, we are not in a place of love. When we’re in a place of love, we cannot be in a place of fear. Therefore, it makes sense that if I want more love in my life; I need to confront the fear in my life. Am I scared about what you may think of this blog or of my expression of self-love to both you and myself? Because… I choose to love myself FIRST and from this wellspring of self-love, I can love others. I choose love over fear. I’ve seen my fear and I’ve seen how it consumes the space where love could reside, so I choose love. In fact, I would like to offer you a challenge. Whether you’re in a relationship or not, focus on LOVING YOU FIRST. Ask yourself how you can bring more self-love into your life and DO IT. If you don’t know where to start or need some pointers I invite you to let’s chat. I’d love to connect with you. Because here is the secret… your life is ALL ABOUT YOU, so don’t be afraid to give your best love to you first. This is the secret to love. From that place of self-love, you will create an amazing life for yourself that will influence those around you.